Picture taken at Stead Airport, Reno, NV. 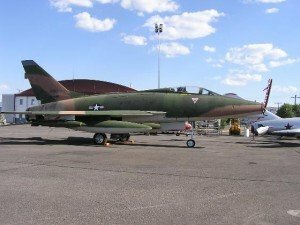 The Palm Springs Air Museum will dedicate a newly restored F-100D, 55-2888 on November 6 and 7. This jet was acquired by Maj. Gen. Ken Miles (RIP) and will be dedicated in in honor of Captain Al Dempsy. Anyone interested in attending this grand event should check out the details posted on the Super Sabre Society web site on the What’s New page.